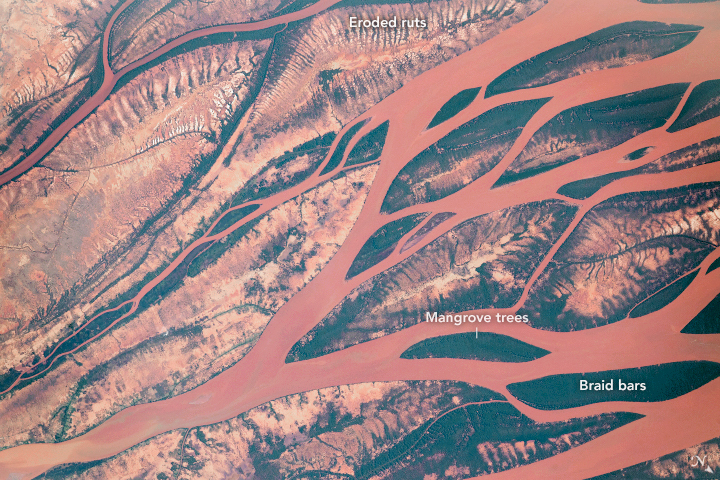 Satellites regularly capture images of Madagascar’s sediment-laden rivers as well. 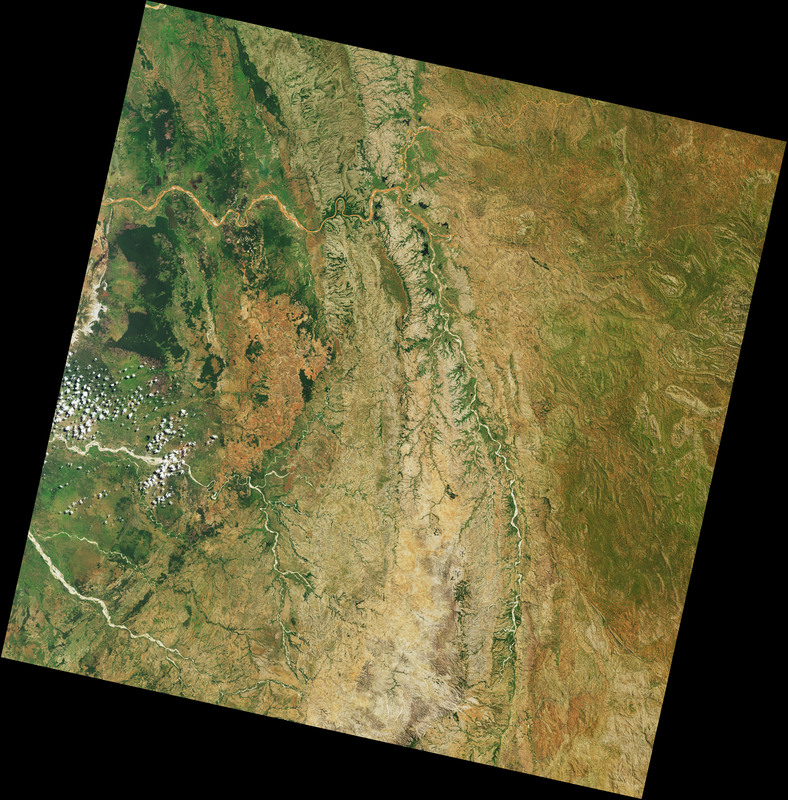 On March 23, 2017, the Operational Land Imager (OLI) on the Landsat 8 satellite collected this natural-color image of the Tsiribihina River. 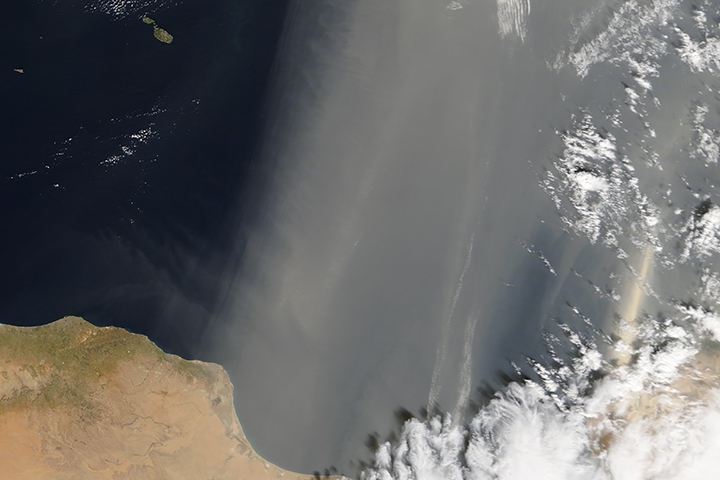 Its waters look muddy and red to satellites most of the year, but the river appeared to carry an especially heavy load of yellow-orange suspended sediment on this day, likely because a powerful cyclone struck the island about a week earlier, bringing heavy rains and flooding. 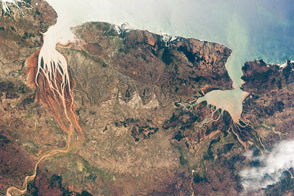 Most of Madagascar’s rivers originate in the highlands in the island’s interior. They pick up large amounts of sediment there, often from the iron-rich red soils and rocks called laterites. 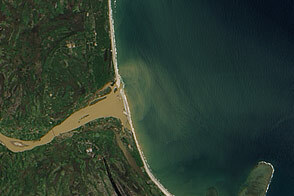 Those colorful waters flow down toward one of several silty deltas along the coast. 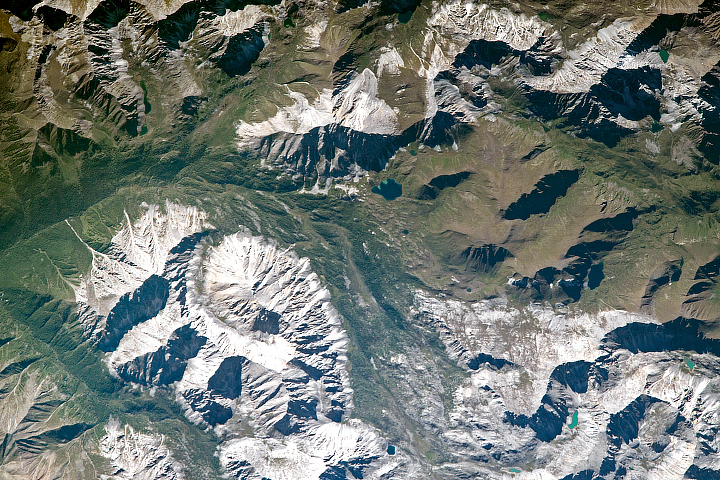 Notice the textured terrain on the right side of the image. These mountainous areas are etched with distinctive erosional features known as lavakas, the Malagasy word for “hole.” These tear-shaped gullies form on hillsides where water has infiltrated deep enough into the soil to weather the underlying bedrock into a soft rock type called saprolite. Frequent exposure to rain also leaves a crusty layer of laterite soil near the surface above the saprolite. When lavakas open up, the rush of water from rain scours away bits of laterite and saprolite, sometimes causing the gullies to become quite large. It is common in Madagascar’s highlands to see large sections of hills eroded away by lavakas. While lavakas can form naturally, human activities—hillside tree-clearing, grazing animals, burning vegetation, planting crops, and building roads—can also trigger lavakas and accelerate the rate of erosion. 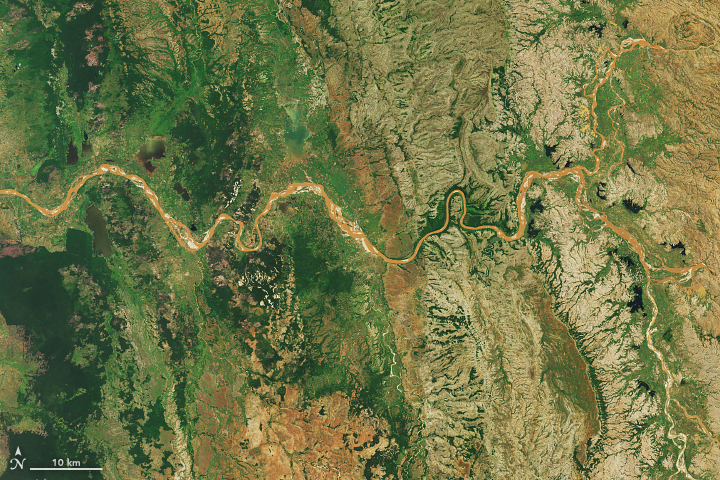 This Landsat image shows the confluence of the Mahajilo and Mania rivers (right). After tumbling down from the highlands, they come together near the town of Anosimena to form the more tranquil Tsiribihina. 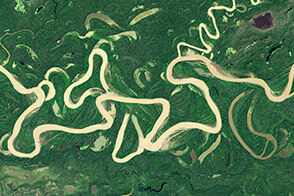 The river winds its way through several forested gorges and plains rich in plants and animals unique to Madagascar. Since the island has been geographically isolated from Africa and other landmasses for roughly 90 million years, it is known for species that are found nowhere else in the world. 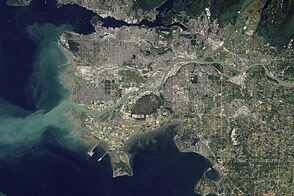 NASA Earth Observatory image by Mike Taylor, using Landsat data from the U.S. Geological Survey. Story by Adam Voiland. Gullies in the highlands called lavakas are a major source of sediment. Benstead, J. et al, (2003) Conserving Madagascar’s Freshwater Biodiversity. BioScience, 53 (11), 1101-1111. Cox, R. et al, (2009) Erosion Rates and Sediment Sources in Madagascar Inferred from 10Be Analysis of Lavaka, Slope, and River Sediment. The Journal of Geology, 117 (4). Crowded Planet (2014, November 7) Silence and Nature on the Tsiribihina River. Accessed February 9, 2018.
International Food Policy Research Institute (1995) A 2020 vision for food, agriculture, and the environment: Speeches Made at the International Conference June 13-15, 1995. Accessed February 9, 2018. Wilme, L. et al, (2012) Toponyms for centers of endemism in Madagascar. Madagascar Conservation & Development, (7) 1. World Atlas Erosion Landforms: What Is A Lavaka? Accessed February 9, 2018.